How do they know the scribes are reliable? They don’t. They have to have faith. That brief exchange between Juan and Jim encapsulates one of the defining characteristics of point of view in Fuentes story, specifically the potentially unreliable narrator. Just as the illiterates cannot know if the old men are typing their stories accurately, we as readers cannot know if Fuentes’ narrator offers a reliable portrayal of Juan Zamora. We have to have what Juan calls faith, or Jim calls confidence. But what if we have neither? What if we’re simply left with a heightened awareness of the limitations of a story told by someone other than the person who lived it? With the first sentence of “Pain,” Fuentes calls attention to the narrator: “Juan Zamora asked me to tell this story while he kept his back turned” (354). The narrator reminds us repeatedly that he speaks for a man whose back is turned to us because his story is too painful or shameful to tell himself : “So Juan will not offer you a view of his face” (354); “Juan Zamora has his back to you” (354). Though Fuentes’ approach risks distancing readers from the story, we are drawn in nevertheless because of the truths Fuentes conveys about the inherent difficulty of telling stories that we cannot tell ourselves. For Juan Zamora, “pain’ is a synonym for “shame”—it’s a “peculiarity of Mexican speech,” the narrator tells us (354)—and one of the sources of his pain or shame is the fictional past that he creates. Rather than telling his American host family the truth, that he was the son of an honorable but penniless administrative lawyer, he claims that he traveled to Cornell to study medicine as the scion of a wealthy Mexican family, owners of lands, haciendas, and oil wells. It pains Juan as well that he denies the hypocrisy of the patriarch of his host family, Tarleton Wingate, a prosperous business man who negotiates contracts between weapons factory owners and the US government, a man who embraces Juan while contributing to the suffering in Latin America that they witness together on the nightly news: “He [Juan] doesn’t understand if they [the Tarletons] are pained when terrible pictures of the war in El Salvador appear” (356). Though Juan’s love affair with Jim doesn’t pain him—in fact the narrator observes that their first encounter marks the first time he “faces us, he turns to look at us, pulls off his mask” (360)—the reality that the affair will end is part of Juan’s story that he cannot face. Conversations about his past prompt considerations of the future. He and Jim cannot simply live in the present, and Jim’s future will take him to Seattle, where “his marriage [has] been arranged since God knows when, since before he knew Juan” (364). After their break-up, Juan returns to Mexico where his story resumes four years later. At the encouragement of their daughter, Becky, the Wingates agree to surprise Juan with a visit, but it’s the Wingates who are surprised when the address they are led to is not a hacienda but a modest apartment building. While her parents wait in the taxi, Becky speaks with Juan’s mother (Juan is away at work, at a hospital), imploring her not to tell Juan of the visit that reveals his lie about his past. The fact that Juan isn’t supposed to know that the Wingates visited his apartment but the narrator does know prompts us to ask, did Juan’s mother break her promise? If not, what explains the narrator’s knowledge of their visit? Is the narrator reliable after all? The question of the narrator’s reliability echoes the one Jim asks about the “evangelists”: “How do they know the scribes are reliable?” (362). By calling into question the narrator’s reliability and emphasizing his role as mediator, Fuentes seems determined to distance us from Juan’s story. But while Fuentes’ approach underscores the story’s artifice, it also conveys the cathartic power of storytelling, enabling Juan to turn “his face toward us” (367). Whether the narrator accurately recounts the events of Juan’s life, he conveys the enduring truth of the difficulty of telling stories too painful to tell. Fuentes, Carlos. “Pain.” The Story and Its Writer. Ed. Ann Charters. Compact 9th ed. Boston: Bedford/St. Martin’s, 354-67. Print. 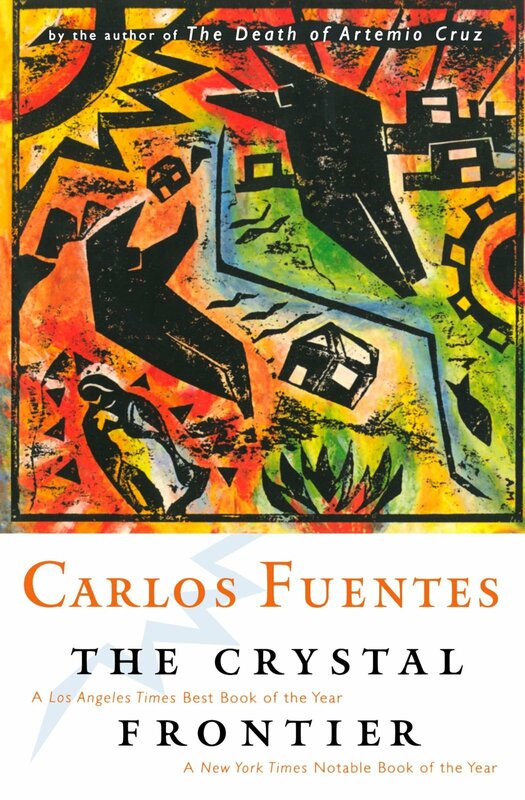 For more on Fuentes’ fiction, see his Paris Review interview: Fuentes, Carlos. The Art of Fiction No. 68: Interview with Alfred MacAdam and Charles E. Ruas. the parisreview.org, The Paris Review, Winter 1981. n.d. Web. 23 Sept. 2014.